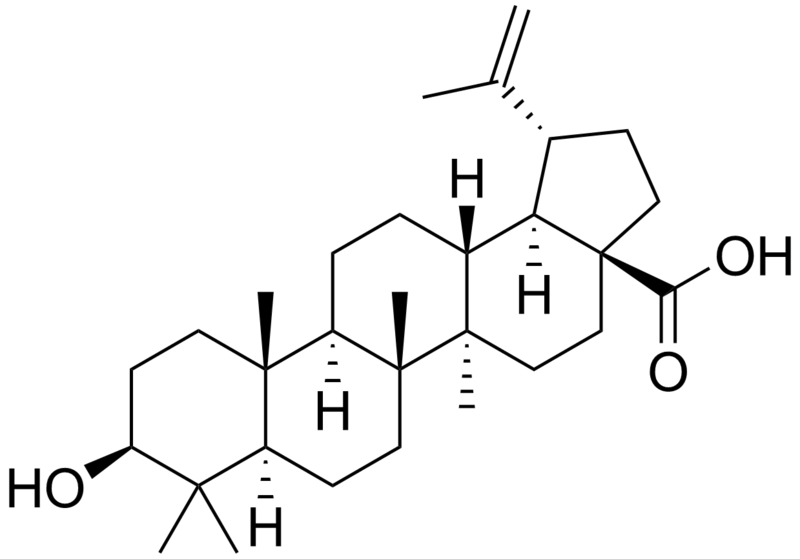 Betulinic acid (3β, hydroxy-lup-20(29)-en-28-oic acid) is a pentacyclic triterpenoid of plant origin that is widely distributed in the plant kingdom throughout the world. It is known for its antiretroviral, antimalarial, anti-inflammatory, and anti-cancer properties and has been used in folk medicine for a variety of ailments. Pingback: Is Chaga The World's Most Potent Health Supplement ?